There are no American Revolutionaries in my tree. My people came to America after 1840. Most showed up after 1880. So, I’ll turn to an ancestor who exemplifies the independent spirit. 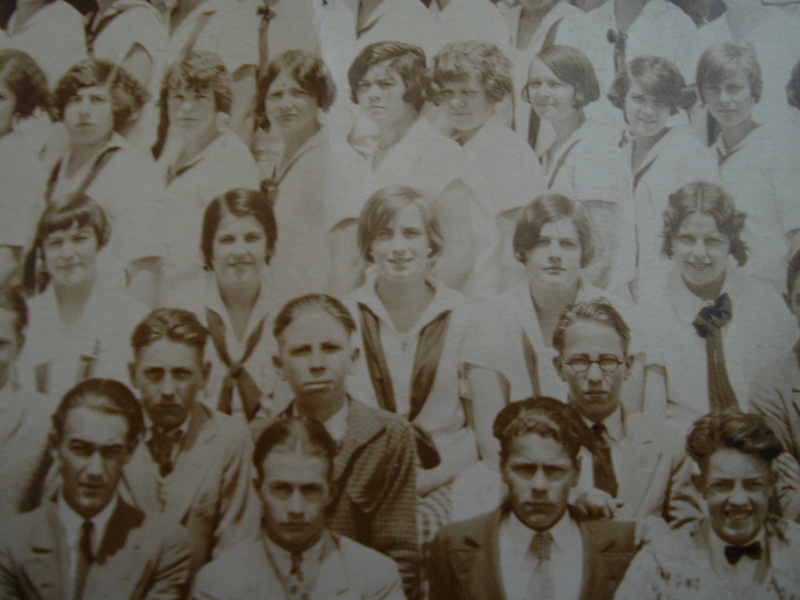 Although I’ve written several times about my Grandma Shellabarger aka Anna (Jackson) Shellabarger on this blog, I can’t think of any ancestors who fits the label more than she. My Grandma life was filled with struggles like most people. She got pregnant before her 17 birthday and got married 5 months later. She was divorced in her late 30s and struck out on her own with her young daughter. In her 60s, she suffered a brain tumor and was given 5 years to live. She lived 30 years more despite being paralyzed in one leg. It was sometimes difficult to like my grandma. She was overly opinionated and often put her foot in her mouth. Don’t let the brain tumor fool you. She was as quick as a whip until she hit 90. After my grandma died, I got to assess her more distantly. I did love her. She was my grandma. The more I researched her, the more I realized what an incredible person she was. As I mentioned she had to get married because she was pregnant. It was not a match made in heaven and they split when my mom was 9. My grandma was a divorced, single mother without a high school degree. When my grandma got my mom into a private Catholic high school, the principal reminded my mom that she already had two strikes against her. She was poor and her parents were divorced. That gives you an idea of stigma in the early 1950s. My grandma’s only work experience was as a housekeeper and helper at a beauty salon up to that point. But, my grandma did not let that stop her. She got training somehow. Perhaps she took some classes. Or, maybe she taught herself. But, unlike other women in her situation, she did not go to work in some factory, take in laundry, or do sewing and ironing for neighbors. 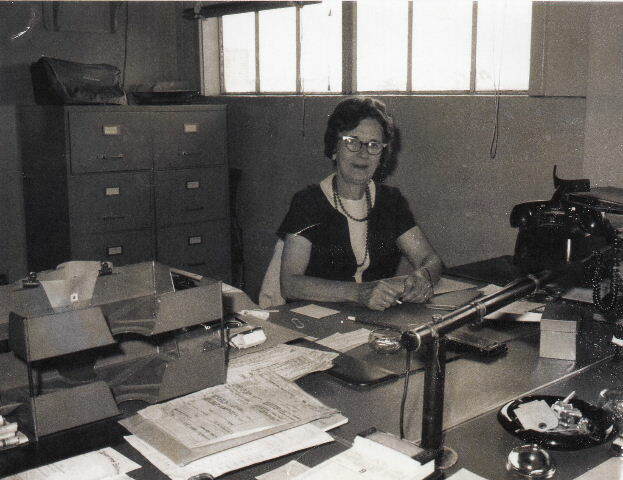 My grandma, divorced at the age of 38, went to work in an office. At first, she worked for a mail order firm answering phones and taking orders. She went to work for Yellow MFG Acceptance Corp., a division of General Motors. There she worked an ediphone and was a credit clerk. From there my grandma took various office jobs. 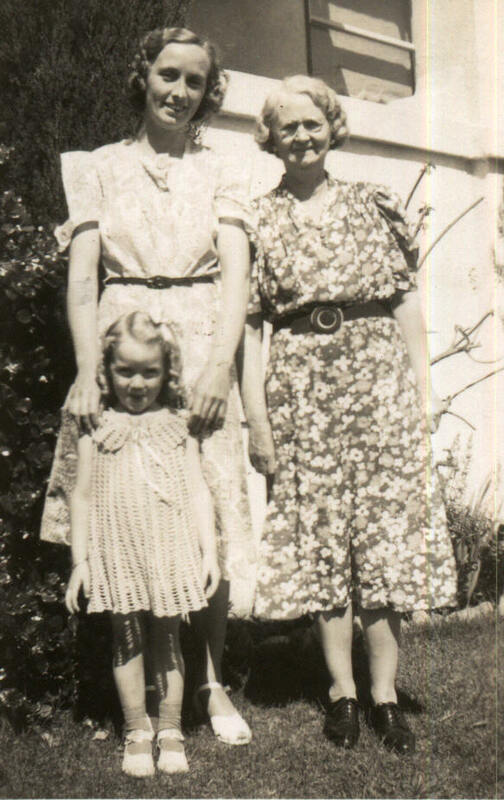 My grandma and my mom were on their own in Oakland, California. They moved from place to place, but they always had food on table, clothing, and the rent was paid. At some point, my grandma had enough office skills to take the civil service test. Then, she went to work for the US Naval Supply in Oakland. She moved to Chula Vista around 1968 to work at the naval supply center. In 1972, she retired from her government job with full benefits. I will never forget waking up that morning over the Christmas holidays in 1974. Grandma was staying with us. She was rushed to the hospital because of a headache and she couldn’t move her leg. They found a brain tumor and rushed her into surgery. She was in the hospital a long time. It was not the first or last time she had surgery. 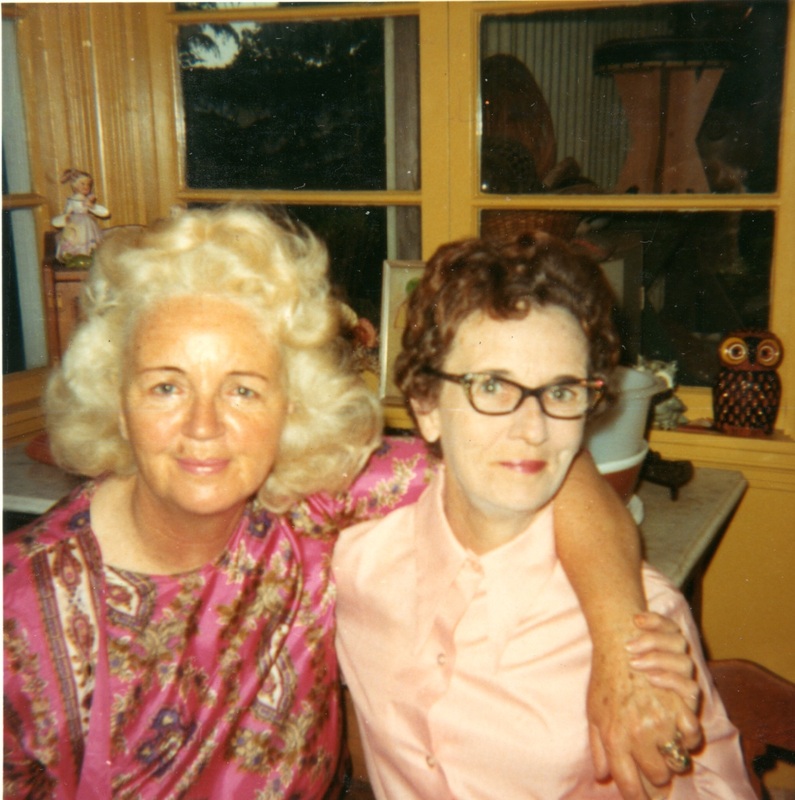 My grandma and her sister, Julie, in the early 1970s. My grandma was tough and tenacious. Though, she ended up wheel chair bound, once they got her seizure medication under control, she was back to raising hell. She moved herself into a rest home where she participated in everything they had to offer. And, when she got tired of the scenery, she moved again. She kept up with current events, joined the Grey Panthers, read books and magazines, made ceramics, did embroidery, and general gave everyone in the rest homes a run for their money. She had a love for chocolate and I’m pretty sure it was the candy and cookies that kept her alive all those years. When my grandma died in 2006 at the age of 92, it was because her body finally gave out. She outlived their projections by 27 years. I look back and feel sad for her struggles. But, she showed us what it meant to fight the good fight. She may have been tough to get along with, but she was my grandma. Somehow she maintained her dignity and her ability to laugh at silly things through all her tribulations. I admire her spirit, her tenacity, and her repeated ability to defy the odds.